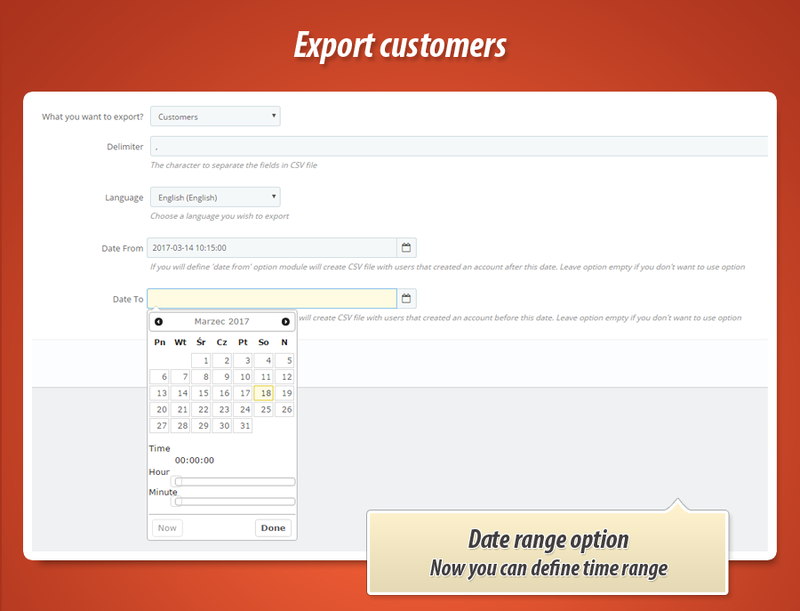 This is module for export your customers to csv file accepted by PrestaShop Import CSV tool. 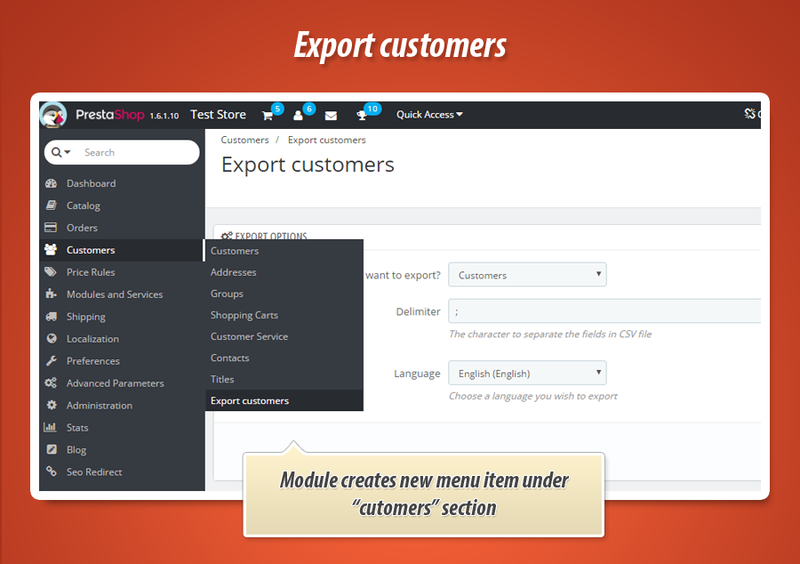 With this module you can easily export all of your shop's customers to .csv file. 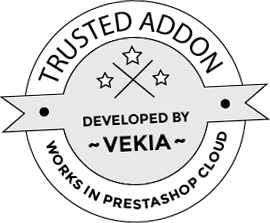 Exported file will contain all datas about customers that your shop stores. 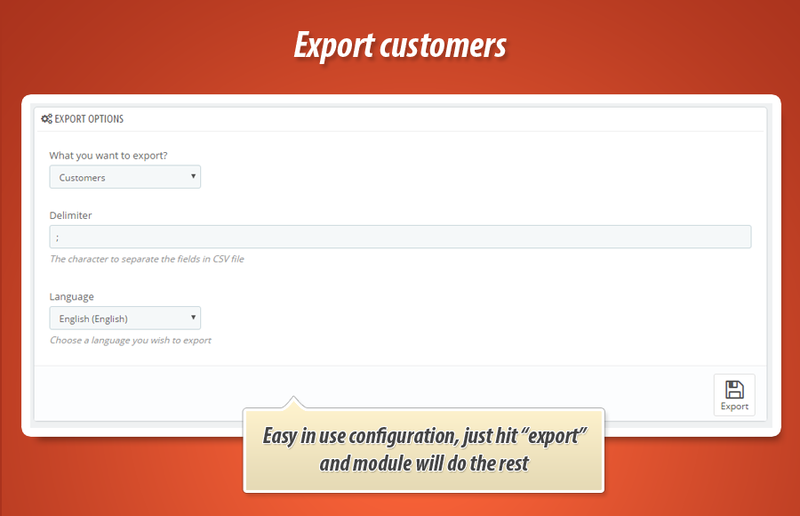 In addition this module allows to export also addresses. Main and most important feature of this module is possibility to export all shop's customers to .csv file that will be ready to import and fully compatible with default importing tool "import csv" that we have in PrestaShop as a built-in feature. Module configuration page allows to decide what we will export. We can choose "Customers" or "Addresses".